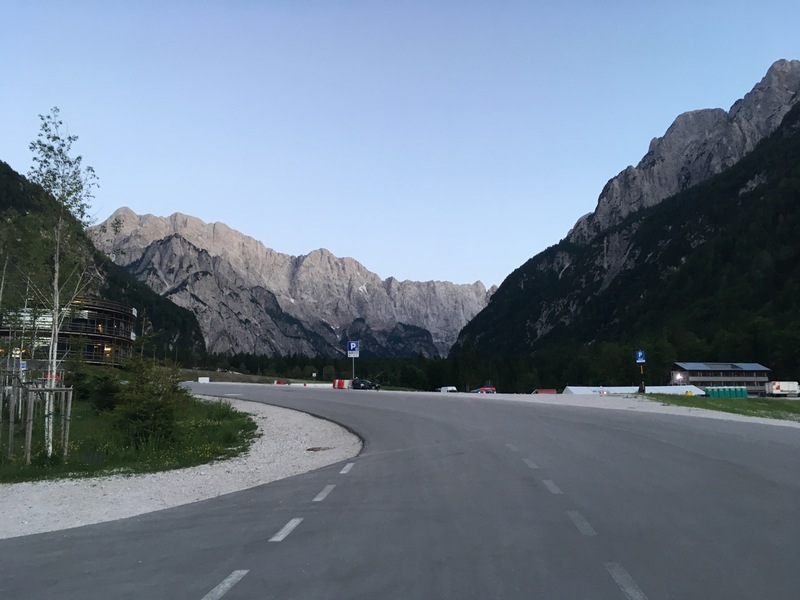 On the far northern tip of the Triglav national park we visited Planica and stayed at the site of their winter sport Olympic training facility. 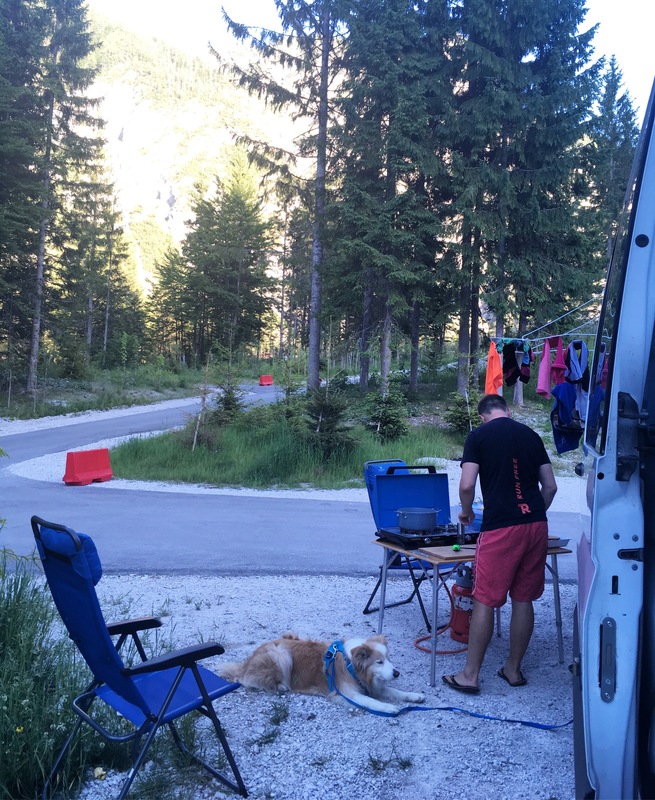 There is an Aire on site here and it turned out to be a really nice quiet place with fantastic facilities. 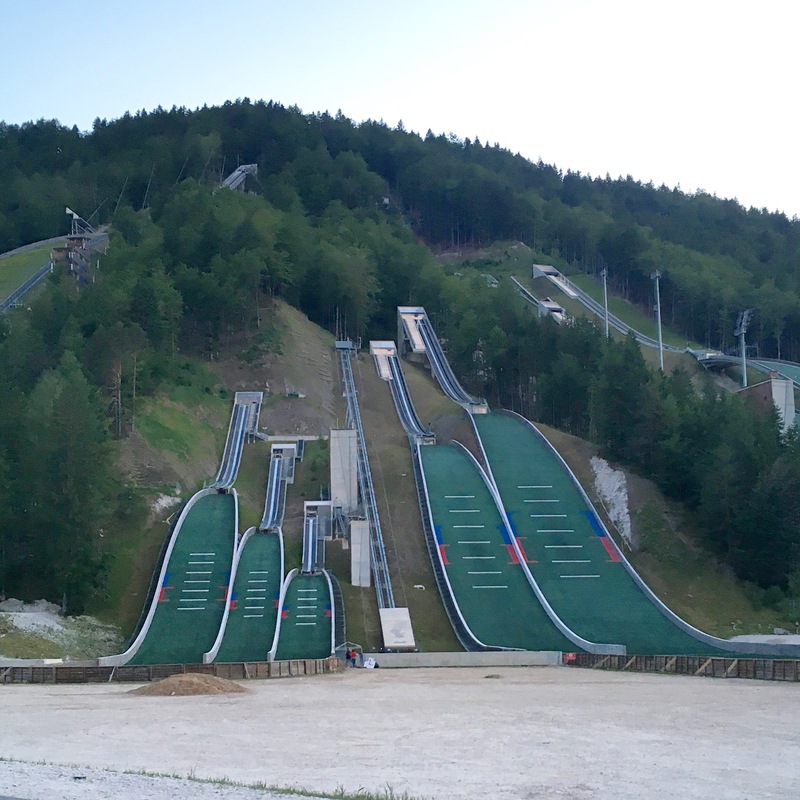 Planica is famous for ski jumping with many ski jumping records having been achieved there over the decades, it boasts one of the 6 longest ski jumps in the world used for the extreme sport of ‘ski flying’! 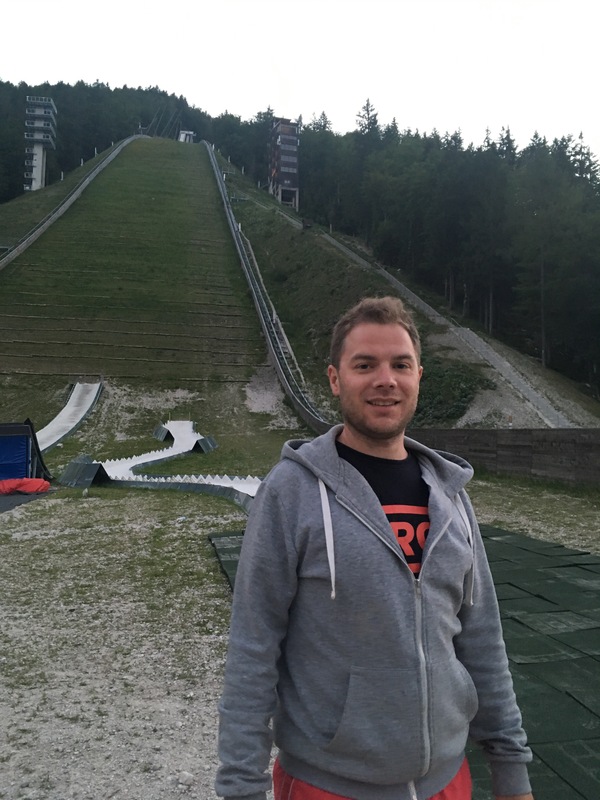 The ski jumping passion was obvious with 7 shorter jumps that were used for practice almost constantly during our stay, which provided great entertainment for us! 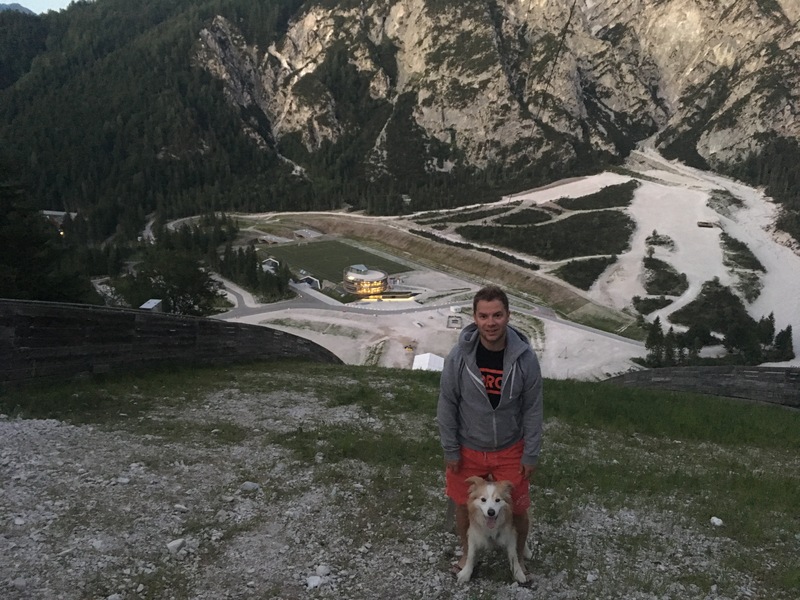 One evening we decided to climb the 1190 steps up to the top of the highest jump, it gave us a fantastic view over the complex, the thought of launching yourself off there on a pair of skis was unimaginable! 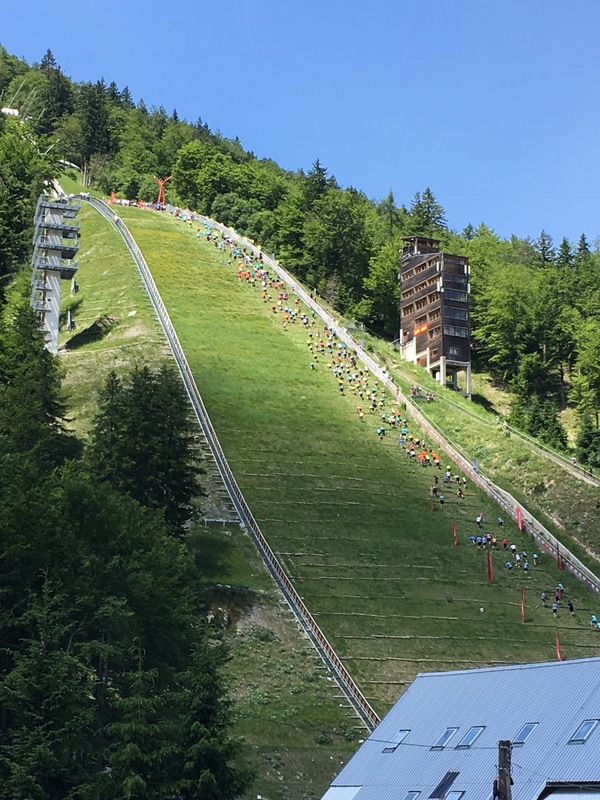 It wasn’t just the ski jumpers who were dedicated to their training over the summer months though, day after day we watched the cross country skiers pass the van, training on their roller skis doing laps of a tough undulating circuit of perfectly smooth tarmac in 30 degree heat. The indoor training centre boasts a simulated high altitude training facility where the athletes train in a hypoxic environment. It was impressive stuff! 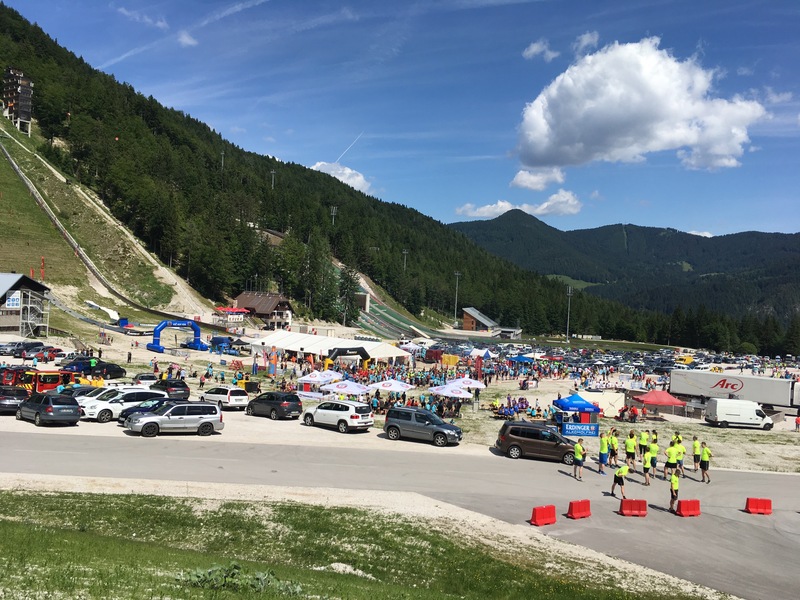 Unbeknown to us the complex was also hosting an obstacle course race over the weekend and although we were more than a little tempted to get involved we settled for watching the participants and absorbed some of the after party atmosphere with a little envy. Maybe we’ll come back next year having entered it! 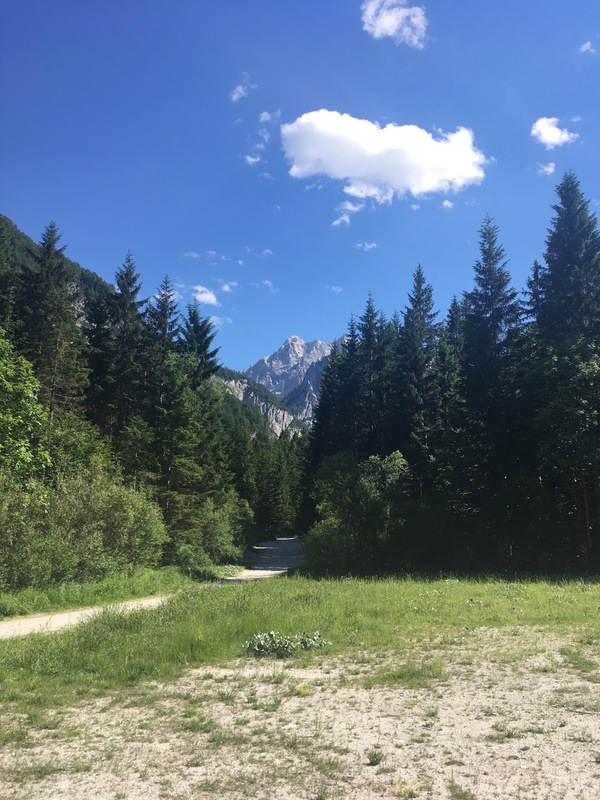 It wasn’t all spectating though and we enjoyed hiking through the valley and woods in the surroundings of the Julian Alps. 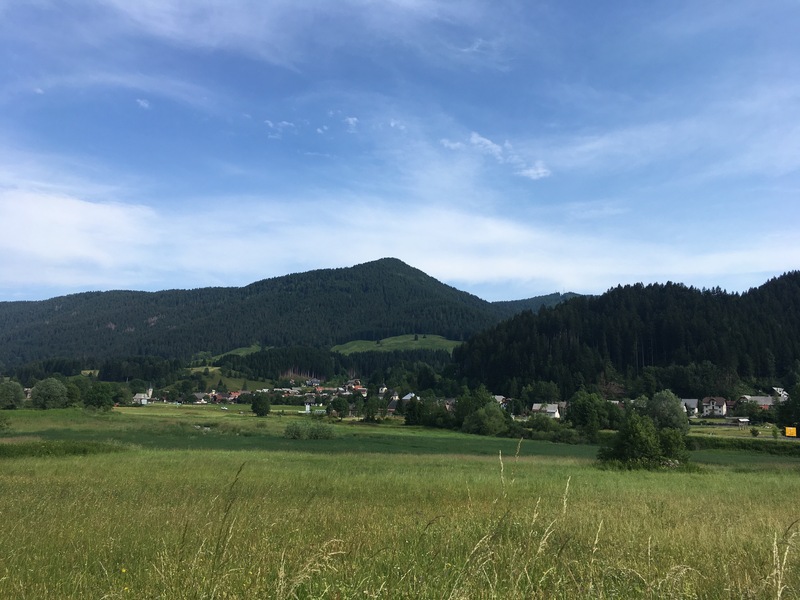 It’s not often when going out for a bike ride that you need to take your passport with you but based as we were so close to the border we decided to do a little cycle tour. 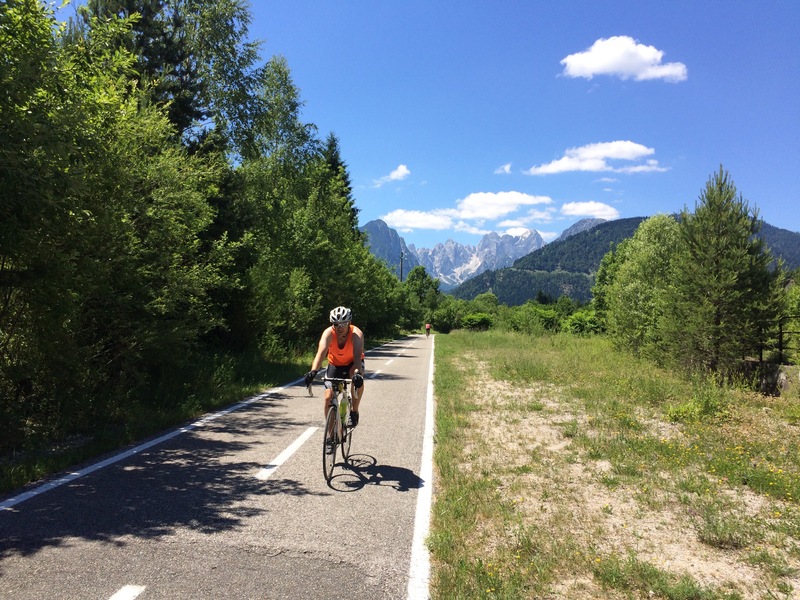 Out came the road bikes and following a series of excellent cycle paths we rode from Slovenia, into Italy, on into Austria and then back to Slovenia! 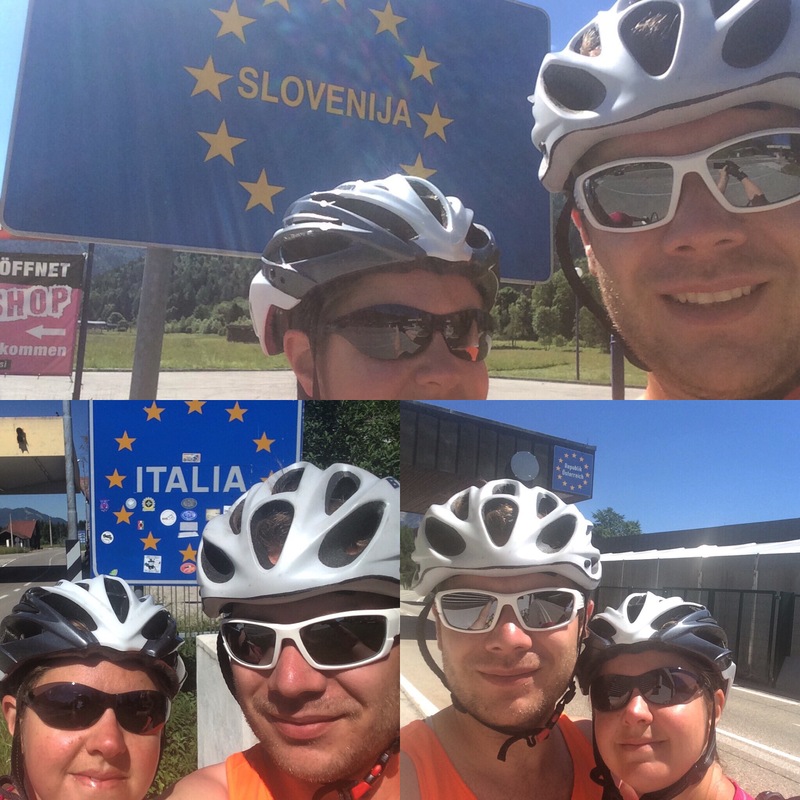 As it turned out we didn’t need our passports and as we passed through the deserted border control points we commented how lucky we were to be able to so freely pass from country to country when even in our grandparents lifetime we would have been cycling from occupied Slovenia into Mussolini’s Italy and to Hitler’s Austria. 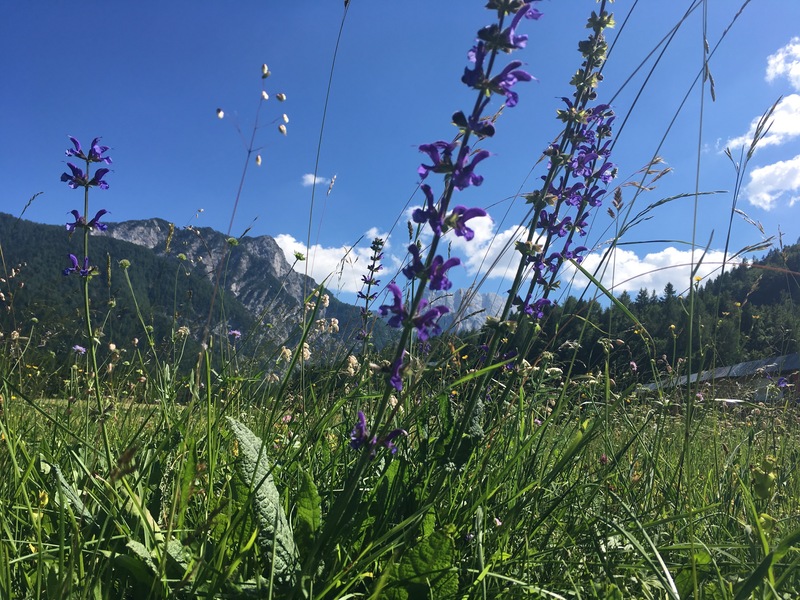 We also visited Zelenci, a protected area of natural wetlands with a beautiful blue green lake which is a source of the Sava river. 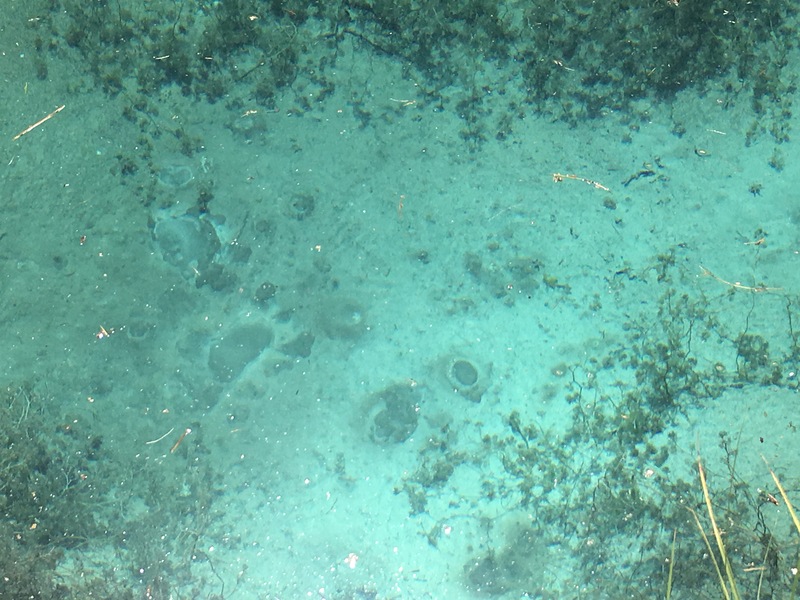 We could see little areas bubbling at the bottom, these tiny underwater volcanoes in the mineral deposits at the bed of the lake are unique to Slovenia and were quite a treat to witness. While we were there we met a tourist from America who asked Adam if he would take his photo. Once he had specified exactly how he wanted the shot framed, produced a comb from his pocket to comb his hair and posed for a variety of strategic poses we got chatting and he recommended we visit a place just over the border into Italy. 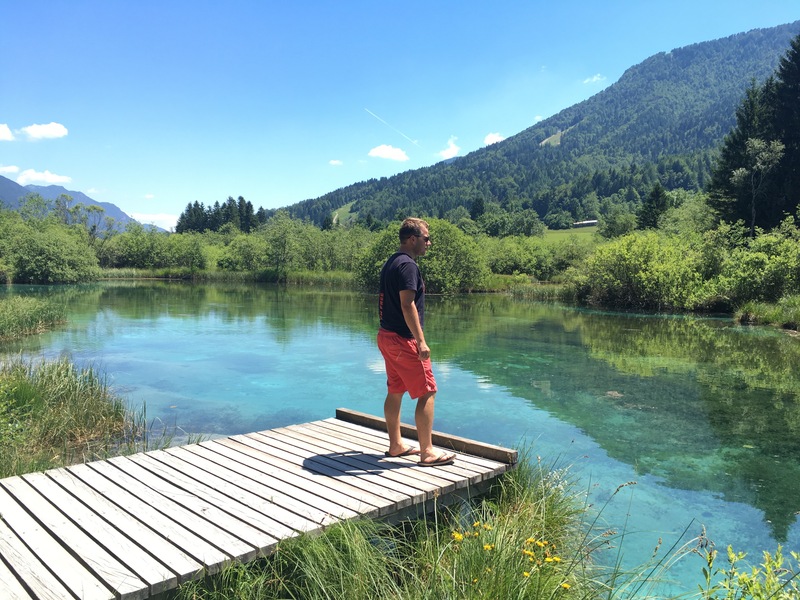 We haven’t been let down yet by a recommendation from a fellow traveller so after a quick look on the map we decided to pay a visit to the twin lakes over the border. Great pics again! Looks like your having a whale of a time. Ski-ed at Vogel in the Julian mountains (before they had the euro) very cheap then, but I guess it’s more expensive now. I admire your cycling acheivements. Well done! 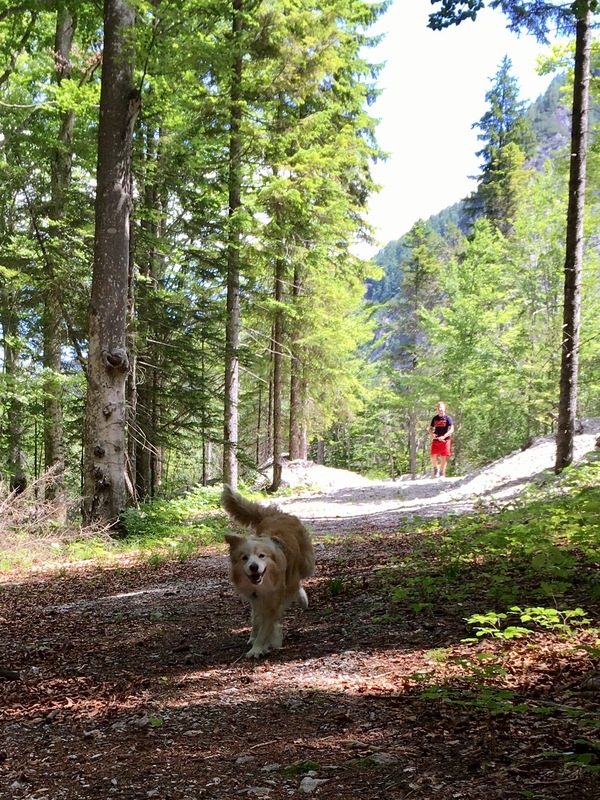 I’m sure you’ll love Austria too. 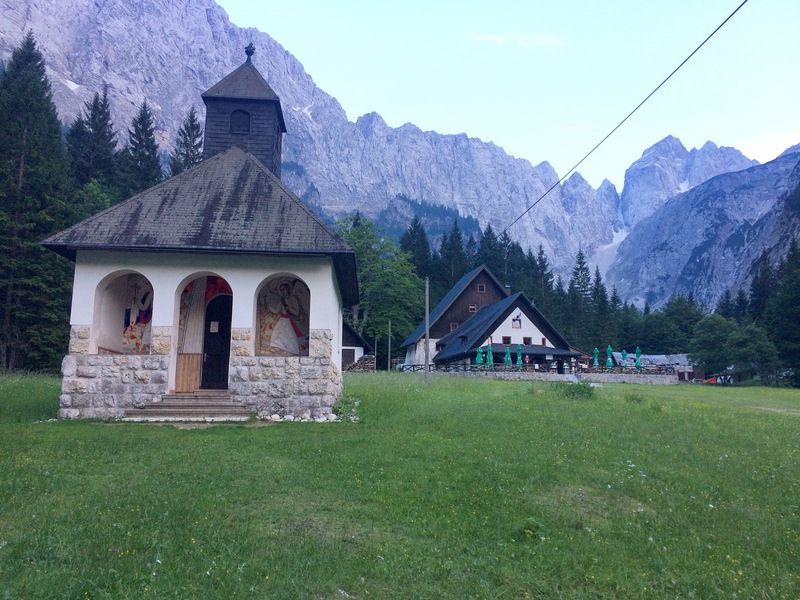 Slovenia is a very popular destination for cycling, especially touring. The cycle paths are tarmac and separated from the road!